The Morgan Timber Dining Table is the perfect harmonony of traditional joinery and modern geometry. This stylish piece of mid-century isnpired furniture is simultaneously functional, spacious and elegant. The Morgan Dining Table by Heimur is perfect for large dinner parties or simple Sunday night dinners. The lead time of the Morgan Dining Table by Heimur is 4-6 weeks. Delivery of the Morgan Dining Table by Heimur is between normal business hours of 9AM to 5PM Monday to Friday. 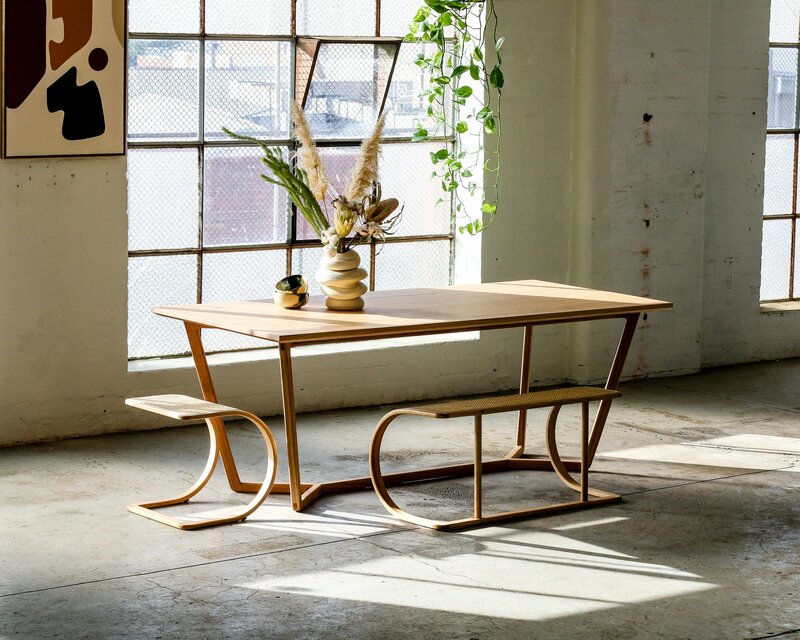 International shipping of the Morgan Timber Dining Table by Heimur is available upon request. Please contact The Local Project team at marketplace@thelocalproject.com.au for a quote. Custom sizes for the Morgan Dining Table are available upon request. The Morgan Timber Dining Table by Heimur comes with a 5 year structural warranty.